CSIR Admit Card 2019: Below are the admit cards published by CSIR - Council of Scientific & Industrial Research (CSIR) / www.cdri.res.in. The recent Admit Card issued for the recruitment drive is Hindi Officer Admit Card 2019. 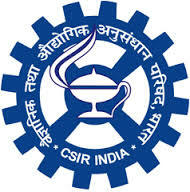 CDRI Hindi Officer Admit Card 2019: CSIR-Central Drug Research Institute has issued the Admit Card on 27 Feb 2019 for Hindi Officer Exam 2019. CSIR UGC NET Exam Dec 2018 Admit Card: Council of Scientific & Industrial Research (CSIR) has issued the Admit Card on 04 Dec 2018 for the exam. CSIR UGC NET / JRF June Admit Card 2018: Council of Scientific & Industrial Research (CSIR) has issued the Admit Card on 07 Jun 2018 for UGC NET / JRF Exam 2018. UGC NET Admit Card December 2017: CSIR has issued the Admit Card on 09 Dec 2017 for the exam which is scheduled to be held on 17 Dec 2017. Assistant (Gen / S&P / F&A) Grade III Admit Card 2017: NGRI has issued the Admit Card on 17 Nov 2017 for the exam which is scheduled to be held on 25 Nov 2017. NGRI has issued the Admit Card on 04 Sep 2017 for the exam.